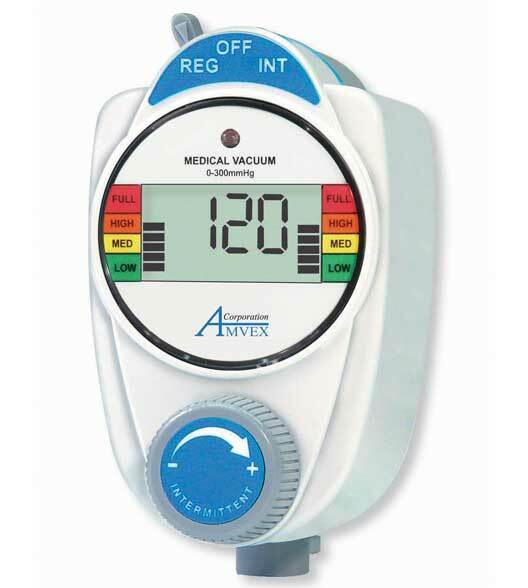 Amvex® offers a comprehensive line of Vacuum Regulators to help service your adult, pediatric, neonate and surgical populations. They are available in both Intermittent and Continuous models. Because our regulators have a technologically advanced design using modularity, your healthcare institution can easily upgrade models from Analog to Digital, and from Continuous to Intermittent. This modularity also provides for simple serviceability and maintenance.